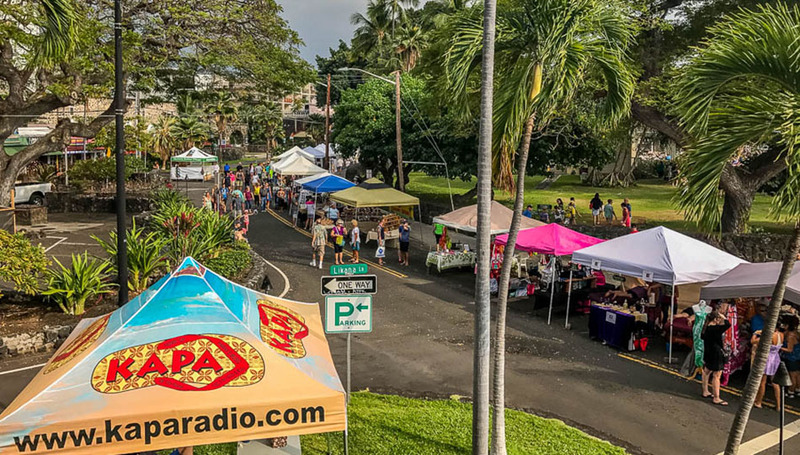 Held on one Sunday of each month from 1:00 pm-6:00 pm in Historic Downtown Kailua Kona Hawaii, the Kokua Kailua Village stroll offers shoppers and craftsman an opportunity to experience a true ‘Hawaiian Bazaar’. 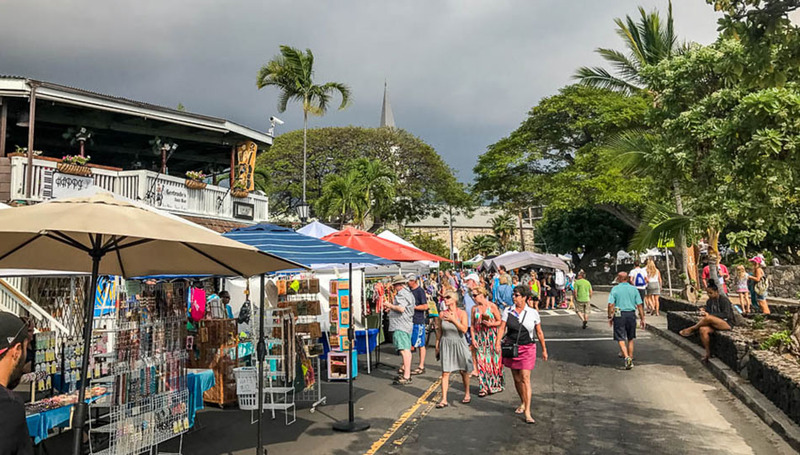 Strollers along Alii Drive will be able to connect with merchants showcasing carved Koa wood art, natural oils, handmade soaps, jellies and jams, clothing items, food, jewelry and more, all promoting Hawaii made products in historic Kailua Village. 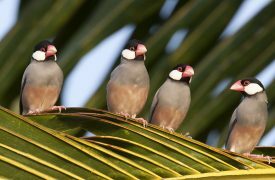 In the native Hawaiian culture, “kokua” is a way of relating to others that is characterized by kindness and a desire to be of help. Come support the history, culture and celebrated artisans at Kokua Kailua Kona Hawaii. One of the highlights of the Kokua Kailua event is the free Hawaiian Entertainment at Hulihe’e Palace. 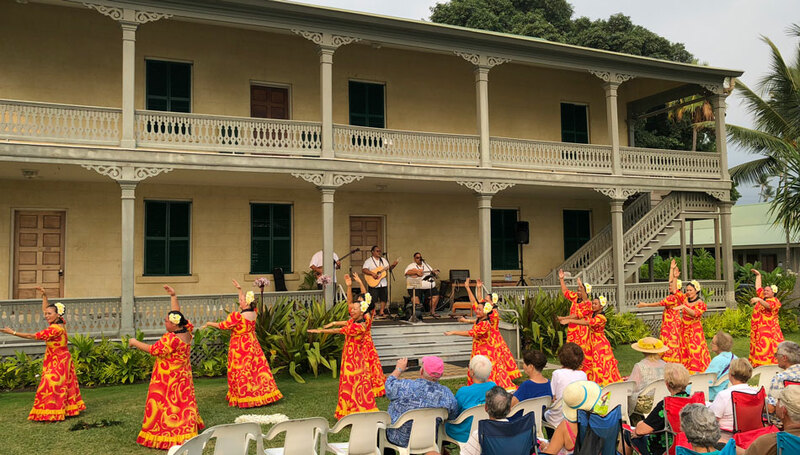 There are local musicians and dancers who come out each month and perform traditional and modern Hawaiian music and dance for event goers to enjoy. 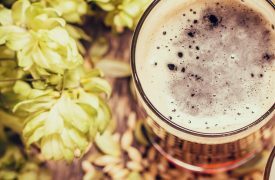 The entertainment begins at the palace grounds at 4:00 p.m. During the Christmas holiday, this event is very large and includes even more entertainment, concerts, and additional craft and art vendors. 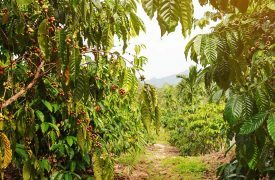 Kokua Kailua is sponsored by the Kailua Village Business Improvement District, Destination Kona Coast, Kailua Village Merchants Association, West Hawaii Today, Pacific Radio Group and Hulihe’e Palace.